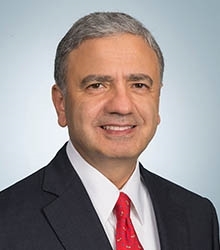 Medical Metrics, Inc. (MMI), an experienced provider of imaging core lab services for global clinical trials, is proud to announce that the American College of Cardiology (ACC) has inducted William Zogbhi, M.D., as the current President of the ACC. The induction took place at the annual ACC Scientific Session on March 26, with 2,000 members and supporters in attendance. Dr. Zogbhi is Director of the Cardiovascular Imaging Center at the Methodist DeBakey Heart and Vascular Center (MDHVC) and is a leader of MMI’s staff of cardiovascular imaging consultants. He is an active investigator and pioneer in the field of echocardiographic imaging and examination. As member of MMI’s core faculty, he provides guidance on study design, protocol development, endpoint selection, and imaging techniques for research studies and clinical trials. As the new President of the ACC, Dr. Zoghbi will set goals for the nation’s largest group of cardiologists, execute new initiatives, and act as the voice of American cardiologists within the U.S. and abroad. MDHVC’s legacy and importance among the nation’s heart and vascular centers is significant. The group includes Dr. William Winters, past-president and Master of the ACC; Dr. John Mahmarian, current president of the American Society of Nuclear Cardiology; and Dr. Miguel Quiñones, Master of the ACC and winner of the 2012 Lifetime Achievement Award from the American Society of Echocardiography. Medical Metrics, Inc. (MMI) is an experienced, ISO 9001-certified, independent imaging core lab for multi-center clinical trials. Through affiliation with the world-renowned Methodist DeBakey Heart & Vascular Center, MMI partners with clinical trial sponsors to conduct comprehensive imaging evaluations of treatments for cardiovascular, peripheral vascular, and neurovascular disorders. Trials range from pre-clinical and early-phase clinical studies to pivotal trials and post-approval surveillance. With an ISO-certified quality system, experienced project management team, proprietary data management platform, and luminary group of cardiovascular thought-leaders, MMI is uniquely positioned to deliver high-quality imaging core lab services for complex clinical trials.